I’ve been to Prague twice in my life, and was taken by the city both times. As someone who is not used to seeing the gorgeous myriad of architecture in Prague (stuff like this just doesn’t exist in America, sadly), every turn down a new street delighted my eyes. The colors. The shapes. The details. The buildings in Prague just leave me in awe. I took this photo on my big walkabout of the city on May Day. I love how the buildings appear so alive and aged. 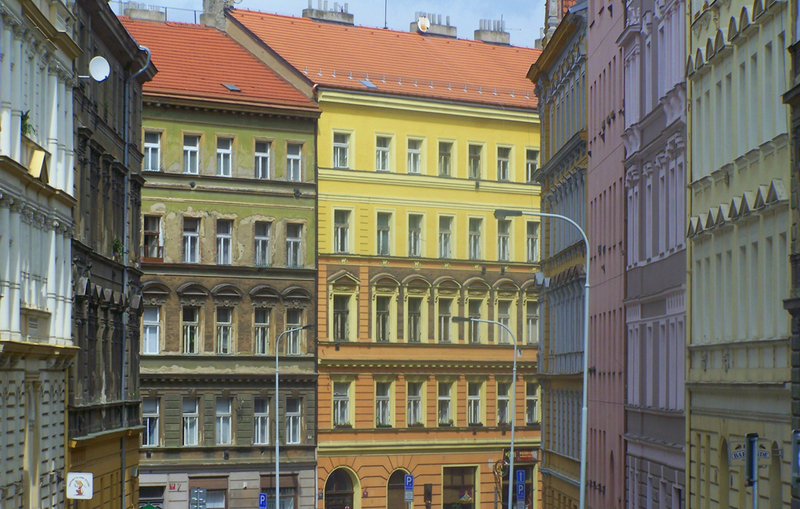 I wish buildings were this colourful in my city too… I live in Auckland and it just doesn’t compare with the beauty that is Prague. I have never been to Auckland, but am sure it is not nearly as uniform and blech as Las Vegas (sans the cool, contemporary architecture that pops up near popular points of interest and special buildings). Prague really is a stunner!! Thanks for commenting!